Evenly sprinkle the bottom of the Ball Jam Maker with the pectin. 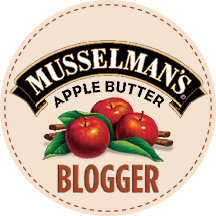 Spoon the fruit, honey and spices in a relatively even layer over the pectin. Sprinkle with lemon juice. Press the jam button. You will hear a beep at 4 minutes. Sprinkle the sugar over the fruit mixture while the machine is still running. Cover and wait for the jam cycle to complete. Press the cancel button and unplug the machine. We have a fig tree in our backyard, but it is only a couple of years old, and while we've gotten a bit of fruit off of it (I'll post what I did with them later) it hasn't been enough for jam. 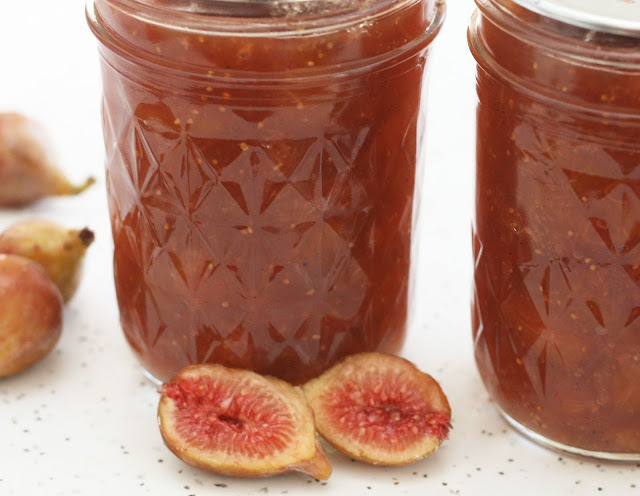 I love fig jam (and if you like Fig Newtons, you do too) so I had an idea and posted a message to my community listserv asking that if anyone had any figs growing in their yard that they weren't interested in picking, to let me know. I actually had a few responses! I went picking and ended up with enough for a couple of small batches of jam. Figs and honey are a classic combo (and incidentally make this the perfect spread for Rosh Hashanah) that lends this jam well to being used in not only sandwiches but in other applications like cookies and cakes.